21" bass reflex and drivers for it..
Quote Reply Topic: 21" bass reflex and drivers for it..
Been a long time since i have been active. But now its time for a new project! I have a little project regarding some subs for allround usage. We are talking 21" reflex cabs for ease of build. They will be used for a install, but shall be able to be moved to a outdoor event 2 times a year.. The size doesnt matter at all, as there is good access at the site. It needs to go nice and deep! 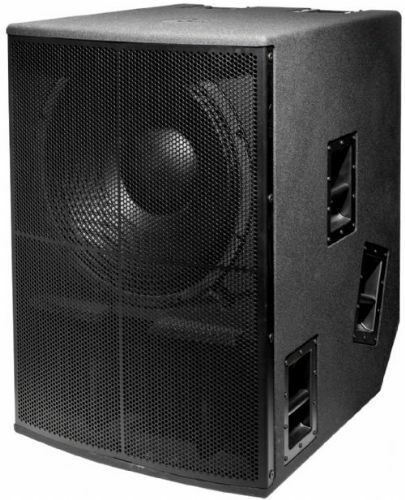 I have allready been looking at 18sound 21LW1400 and 21NLW9001. LW1400 looks like it could be great for good LF performance, but NLW9001 looks like a beast and much more powerfull with very good xmax and power handling. Maybe a top 3 or top 5 choice of drivers, and cab constructions. Single cab, with a very large port. Or maybe something as a RCF 1018 sub? What do the S21AN sound as like am looking to have 4 made ? The ports of the S21AN are definately to small. So expect allot of portnoise and portcompression with for example; 21sw115 etc. Is the a better design much more suited to this driver on here ? +1 for this. Build a critically damped BR cabinet, with cabinet volume and tuning frequency well chosen for optimal extension and sound quality. Maybe with some kind of flared port? There are plenty of woofers from all the mentioned manufacturers that are appropriate for this application.